The 43-year-old shot a 2-under 70 for one-stroke victory Sunday and his 15th major championship. It was his first since the 2008 U.S. Open, capping a remarkable recovery from debilitating injuries and embarrassing personal problems. Then, with Olympic champion Michael Phelps standing behind him on the tee at the par-3 16th, Woods wrapped things up by sticking an 8-iron within two feet of the cup for another birdie and a two-stroke lead. 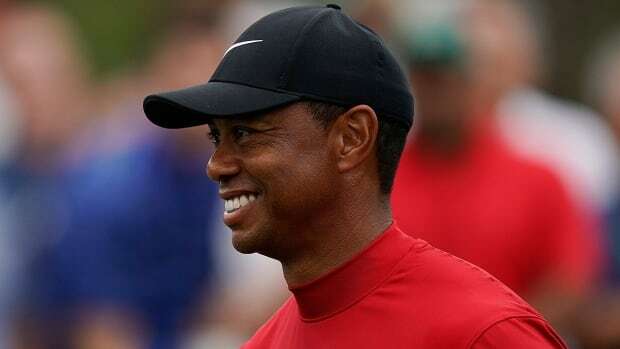 This is the first time Woods has ever come from behind on the final day to win a major championship, leaving him three behind Jack Nicklaus’s record of 18 major titles.